I feel like this book is the one with the most conflict and things going around compared to The Iron King and The Iron Daughter. Meghan was a little less annoying in this one, so that gave it a thumbs up. Also, I pretty much wanted to slap Puck because how can someone constantly screw up everything so much?! It was getting predictable and frustrating at one point—and that stuff was from the past, not even the current events of the series! 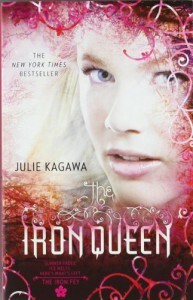 Once again, I really like Julie Kagawa’s writing. She seems to have consistent themes and her description and world setting are personally, my favorite parts of The Iron Fey.